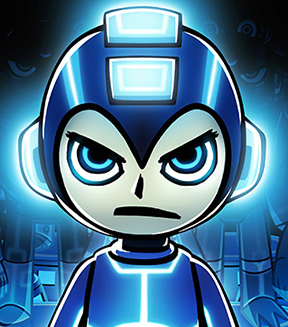 It's been quiet a while since we last heard from Mega Man Universe... early October, to be precise. Since then, there's been little to no news on that front, leaving many wondering just what has become of this curious project. Contrary to popular belief, Mega Man Universe has not been canceled -- there's a lot more news coming down the pike soon... or so I'm told. To keep our appetites whet until then, 1Up's Jeremy Perish has published a semi-new interview with the game's producer, Akiko Ito, originally conducted at the Tokyo Game Show some months back. The interview covers much of what has been known for a while, however, it does divulge into a lot of interesting, little tidbits behind the game's infrastructure including a reaffirmation that Universe is, in theory, a spiritual successor to Mega Man Powered Up. Other topics of interest include the game's controversial controls, character customization, plot line, and other miscellaneous bits about the game's development. All in all, it's a nice read, especially if you've been longing to hear something, anything from the MMU front. Again, this interview is a tad old and as such, some details may no longer relate to the game's current state of development as of December 2010. Remember, a lot has happened since TGS '10; you never know just how much has changed as a result. 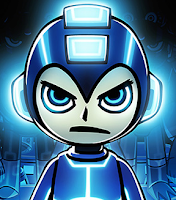 "1UP: With that in mind, why are you calling this Mega Man Universe instead of Mega Man Powered Up 2? Because it sounds like that is basically what it is." No, just...no. Up to this day, I still have no idea why everyone's suddenly calling this game "Powered Up 2", just because it contains a level editor. Aside from that, Mega Man Universe has nothing in common with Powered Up. Yeah, I kinda have a feeling MMU might've been cancelled since we haven't a single peep about the game since Inafune's Resignationsince MMU was one of his "pet" projects. At the very least, it might be heavily retooled. It wasn't getting a lot of praise from fans either. A shame because I was actually interested in it. "little tidbits behind the game's infrastructure including a reaffirmation that Universe is, in theory, a spiritual successor to Mega Man Powered Up." Along with the level editor, the "main game" of Mega Man Universe is supposed to be a remake of Mega Man 2, thats why people are saying its Powered Up 2. I'm glad we haven't heard anything from Universe in awhile, makes me think they're taking into consideration what they've heard from people's hands on experiences (like how platforming/control felt a bit off) into consideration and are tweaking things quite a bit, hence the lack of recent info.